Growing up I always dreamt of having my very own tiger. I don’t know why, other than they are so darn cute, but I always thought it would be super cool to have my own exotic little pet. I knew it couldn’t happen because of course Tigers belong in the wild, not domesticated in your back yard and sleeping on the end of your bed, but I could dream, right? 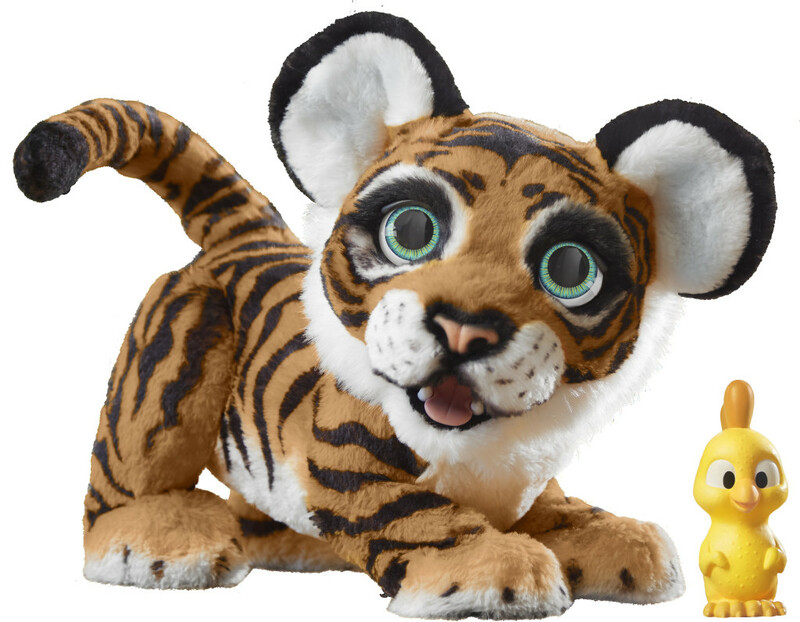 Well, now my daughter doesn’t have to dream about owning a Tiger pet because, with HASBRO’s FurReal Roarin’ Tyler, she can have her very own to love. I am a huge fan of the FurReal pets from Hasbro. My daughter has a few different ones that she plays with for hours on end, making them interact with each other and having tea parties. I mean what little girl didn’t grow up wanting a Pony? My daughter was able to have one with her FurReal Butterscotch pony. What about a Unicorn? Yep, she has one of those too with her FurReal Starlily. What more could she possibly want? A Dragon? BINGO…. with the FurReal Torch my Blazing Dragon, she has one of them too. Needless to say, we were happy to invite a tiger into our FurReal Family this year and Baby girl is just over the moon excited. Tyler the Playful Tiger pet is always ready to have a roarin’ good time. Make noise at Tyler and he will roar back. Not only does Tyler respond to touch and sound with over 100 motion and sound combinations, but he also comes with his own little Chicken squeaky toy he loves to play with. My daughter loves that when she pets Tyler’s head, his eyes close. She also discovered that if she pets him on his muzzle he starts to move! Tyler fits right into our FurReal family and is a really great cuddle buddy too. My daughter couldn’t be happier. This would make the perfect gift for the animal lover on your list this Holiday Season!